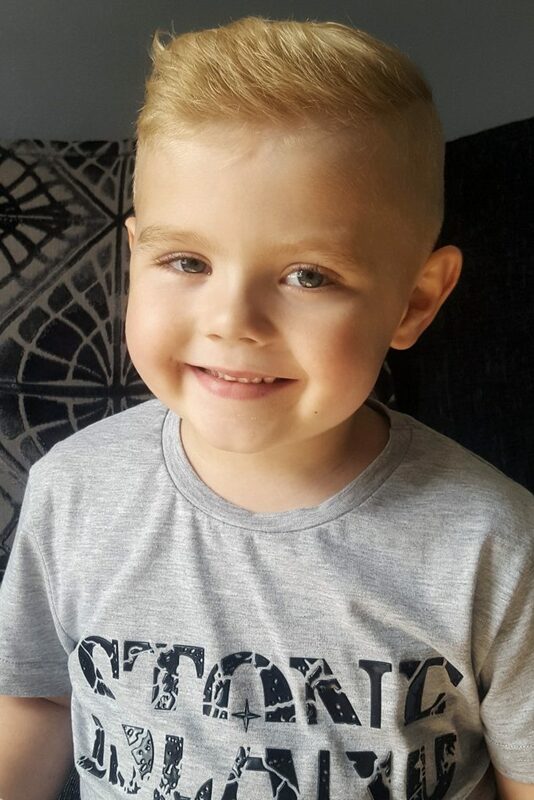 A five-year-old schoolboy is having chemotherapy to cure him of a rare condition that makes his body fill with so much fluid his mum says he looks PREGNANT. Mckenzie Watson suffers from a rare condition that causes his kidneys to leak, filling his body with fluid. 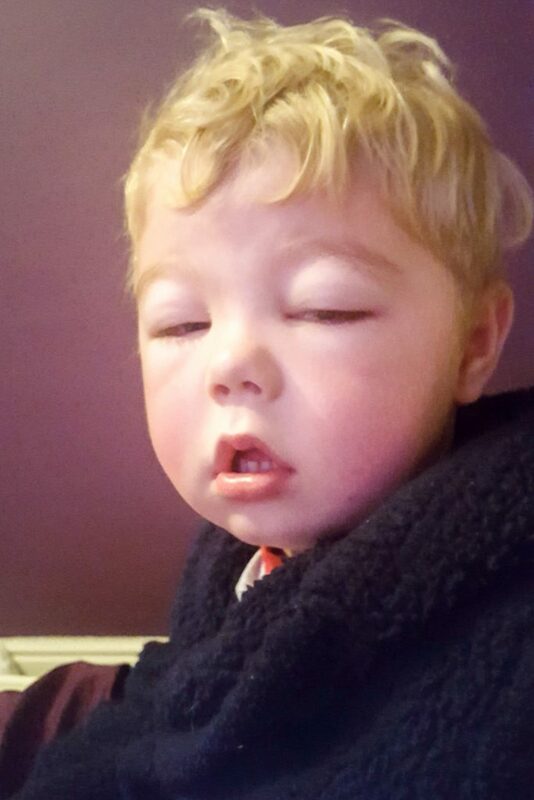 The brave schoolboy, from Doncaster, South Yorks, is left in agony as his face and belly swell up with fluid. And mum Antonia, 26, says her son’s condition is so bad his belly looks like hers did just before she gave birth to him. She said: “When McKenzie has a relapse, his tummy really swells up. “The first time it happened, we just thought he had put on weight over Christmas. “But it kept getting bigger. “It was so scary because his skin was so tight, and none of knew what was going on. “He was massive, he looked as though he was nine months’ pregnant and about to pop! 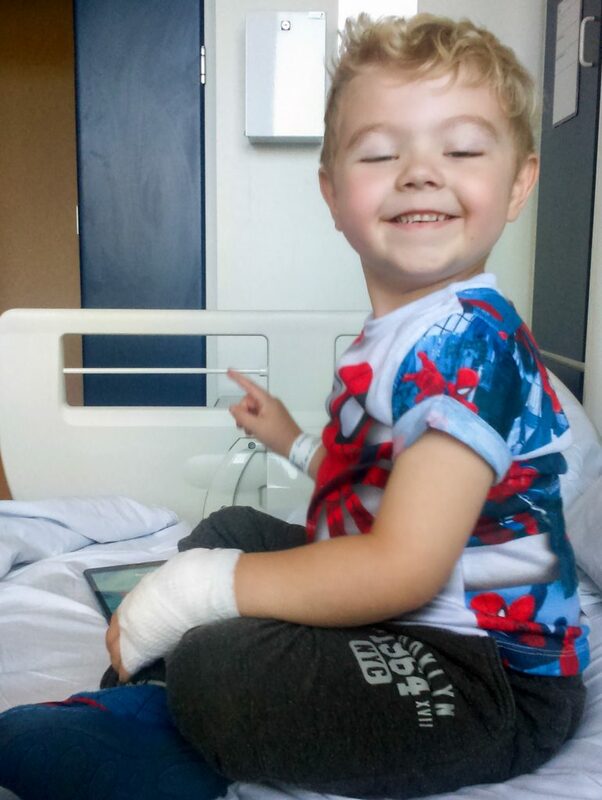 Antonia and her husband Andy had to rush their son into hospital – where he was diagnosed with nephrotic syndrome. 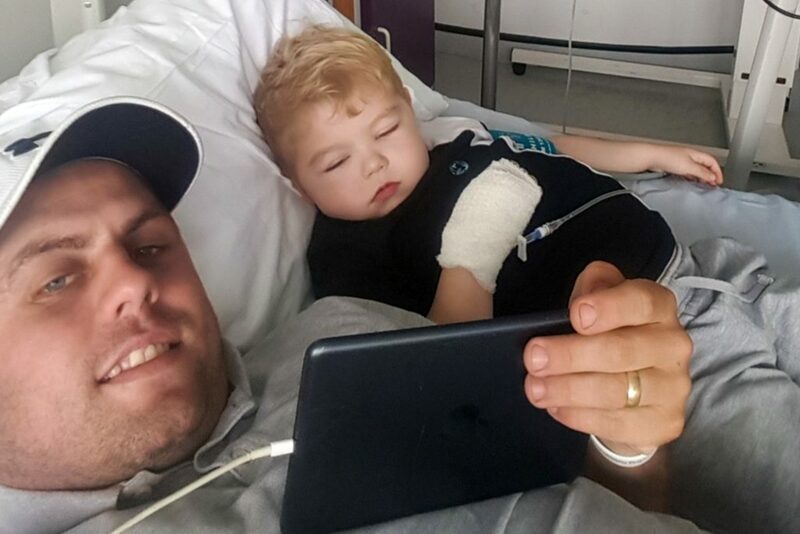 Mckenzie has now started his eight week cycle of chemotherapy in an attempt to treat the condition by weakening his overactive immune system. 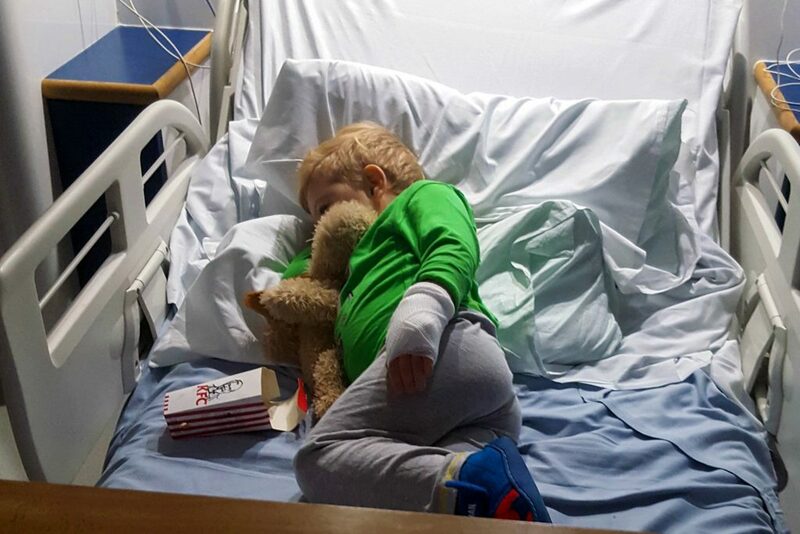 Antonia added: “He was in hospital for 11 days before he was diagnosed, and after that he was allowed to come home as long as we kept an eye on him. “If he ever even gets a stomach ache we have to take him straight to hospital. “We have to give him steroids every day to stop his kidneys from leaking protein. “And now he’s having to have a daily dose of chemotherapy to hopefully kill off his immune system to stop it attacking his kidneys. “He’s not allowed any salty food and he’s only allowed a pint and a half of water each day. “When he goes to school I have to give him a water bottle which is rationed to how much he can drink throughout the day. Despite Mckenzie’s condition currently being stable, he can quickly bloat if his condition isn’t strictly controlled. Since January, he has been admitted to hospital three times. Antonia, who works as a dog groomer, said: “He’s relapsed six times, but three of those times we managed to keep it under control at home. “The other three he had to be taken to hospital for. “We know when he’s about to relapse too – if he doesn’t go to the toilet for a long time, that’s how we knew he was about to relapse. “He starts swelling up because his body retains the water. 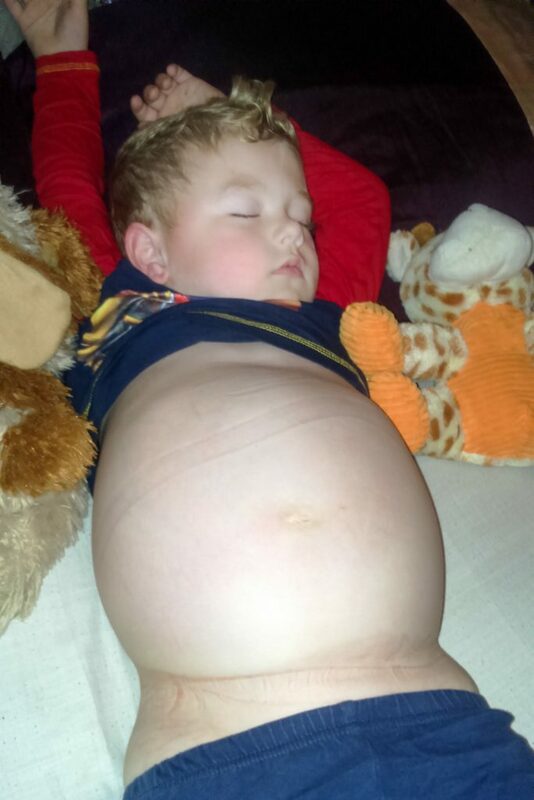 Mckenzie’s parents initially thought that their son had just put on some weight over Christmas when they noticed his bloated stomach at just four-years-old. Antonia added: “On January 9 when he went back to school he was really swollen. “His teacher and I laughed about him putting weight on over Christmas, we just thought he might have had too many treats. “But later that day I took him swimming and realised how swollen he was. 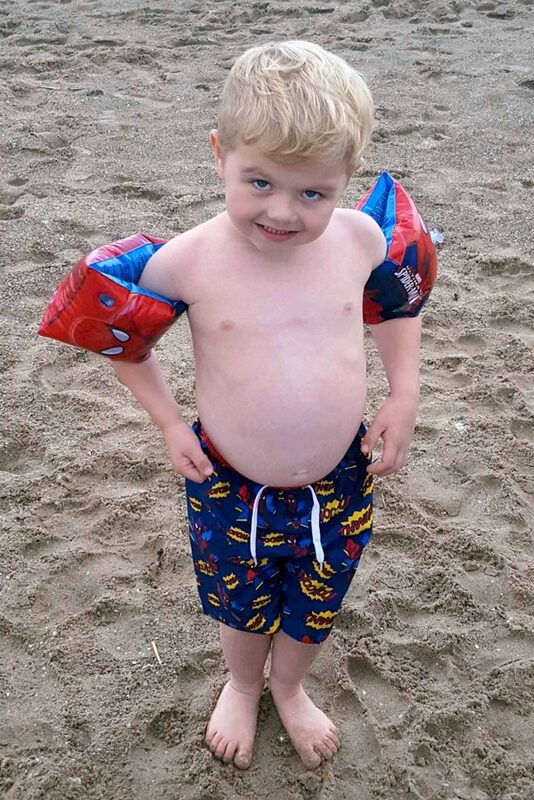 “His swimming trunks didn’t fit and his stomach was really, really bloated, so I took him to the doctor’s. “When were there they looked at Mckenzie and transferred him to a children’s hospital, and that’s where he got diagnosed. Mckenzie’s family and friends are currently trying to raise money to help find a cure for nephrotic syndrome. To donate towards their cause, please visit HERE.